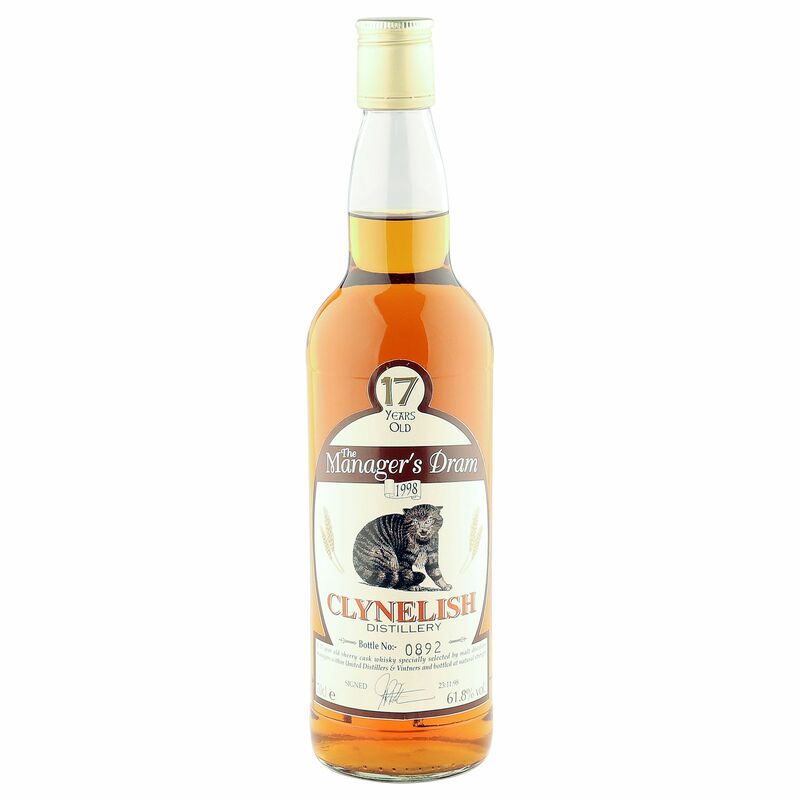 This fascinating 17 year old Highland single malt was distilled at Clynelish in the early-1980's and specially bottled on the 23rd November 1998 for The Manager's Dram series. Drawn from Sherry cask at a natural strength 61.8% ABV, this superlative malt scored a majestic 92 points on WhiskyFun and was signed by the Distillery Manager. The Manager's Dram was chosen annually in competition from United Distillers distillery Managers, where a blind nosing would eventually determine the overall winners from over 100 of the finest whiskies.